The 22nd Annual Human Rights Banquet, presented by the Kootenai County Task Force on Human Relations, will be held at the at the Best Western Coeur d’Alene Inn, 506 W. Appleway, Coeur d’Alene ID on April 12, 2019. A Silent Auction and Reception will begin at 5 pm with the dinner to follow at 6:30 pm. 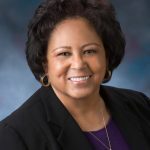 The Honorable Cheri Buckner-Webb, Idaho State Senator and Assistant Senate Minority Leader, will be the keynote speaker. For more information and tickets, go to www.idahohumanrights.org\events. Tickets are $40 each. Full table pricing is also available.